Murano Glass and Crystals European Charm Bracelet CellaBella. This Sterling Silver Snake Chain Bracelet features a removable screw allowing you to add additional charm beads. 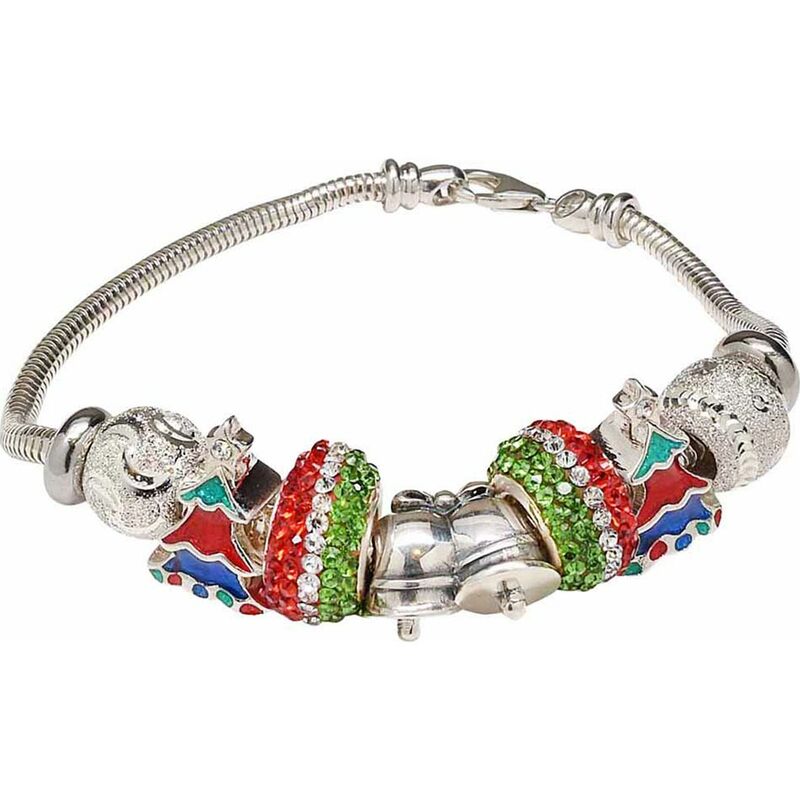 The bracelet will accommodate Pandora Beads, PerlaVita Murano Charm Beads and several others. It features our own authentic Murano Glass Beads, Sterling Silver. The bracelet is 7.5 Inches 3mm Sterling Silver. If you need another size, please contact us, bracelets are available from 6 1/2 Inches to 8 1/2 Inches and we have extenders available.